Tourist-Channel Slovakia - Humenné Tourist-Channel Slovakia: New homepage! The town of Humenné is situated in the eastern part of the Slovak Republic, just less than 80 km from two other big towns Prešov and Košice. Situated by the mountain ranges known as Ondavská vrchovina and Beskydské predhorie, the town has always been associated with the River Laborec. This 685 - year - old town has got just over 35,000 inhabitants and the total cadastral area of 2,867 hectares. The town of Humenné is an important industrial, commercial and educational center of Eastern Slovakia which offers a wide range of services for its inhabitants as well as visitors from other parts of the country and abroad. The local industry focuses on several major areas, predominantly on production of chemical and textile goods, construction engineering and building as well as delivery of locally produced food. The major feature of Humenné is the Town Center. Part of it is car - free, so visitors and tourist do not have to worry about road congestion and traffic noise. 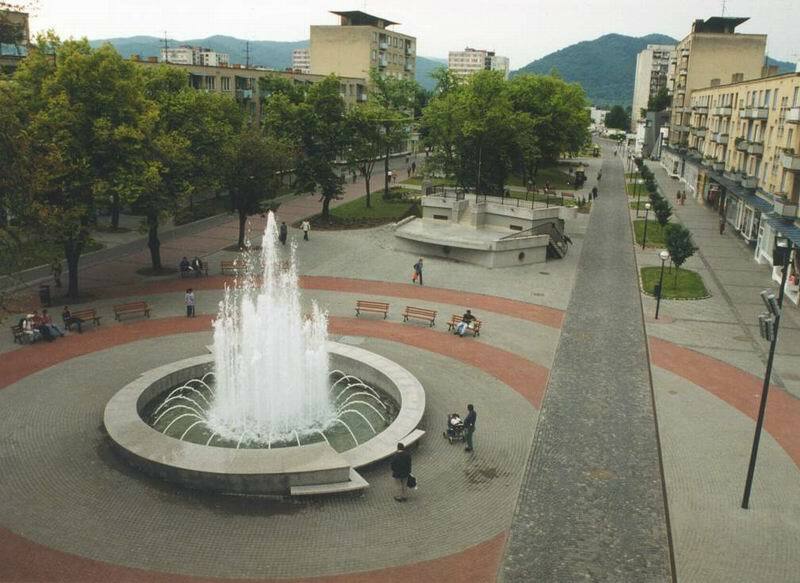 This part of the town was officially open to public last year (4th August 2001) after several months of town renovation work and refurbishment of some of the central parts of the town. The center of Humenné has been completely transformed and given a new fresh look. With a nice water fountain (known as the Fountain of Love), podium for cultural events, many places to rest or read the daily papers and have a cup of coffee, the town offers plenty of choice for those who want to explore it. 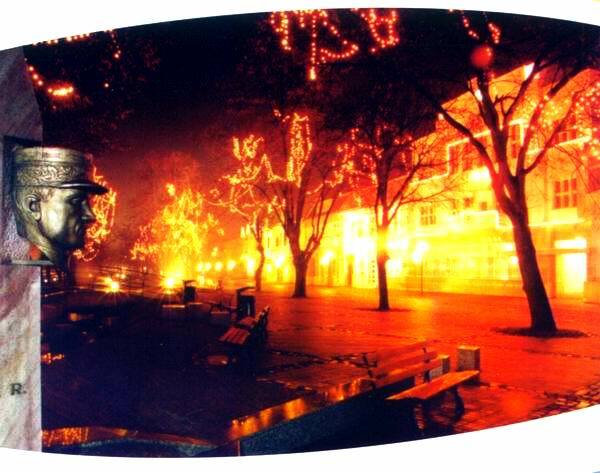 Another interesting feature of the central Humenné is the water feature known as the ''Stream of Time'' (Potok času) which is located near the sculpture of Milan Rastislav Štefánik. The town has also invested in the new pavements, walkways, cycle paths, public facilities, drainage system and night public lights. There are also sympathetic lights hidden in the town gardens and reflectors highlighting some of the historical buildings during night hours. Some 54 benches were added to the town center so there is no excuse to just sit and observe the world passing by.